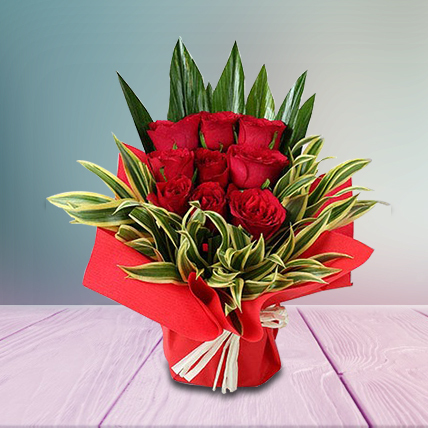 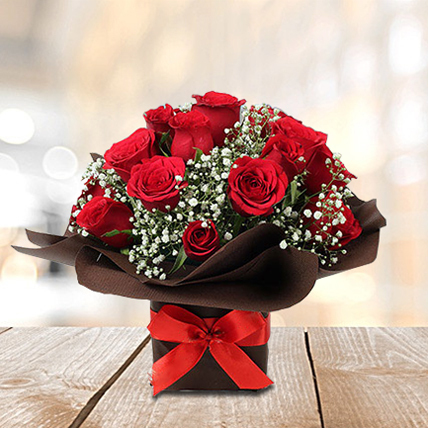 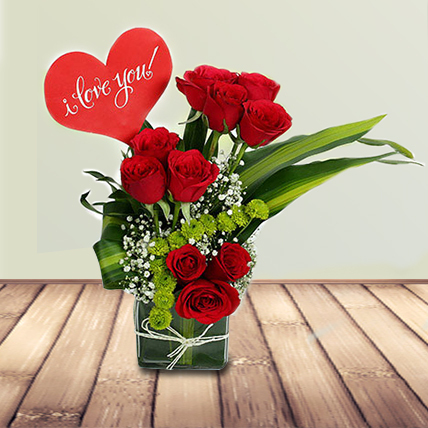 Red roses speak for your love and white lilies are bound to add sophistication to the situation. 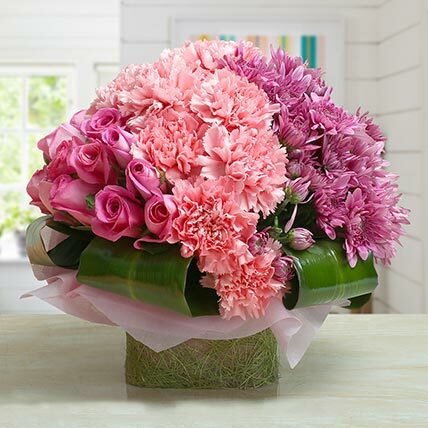 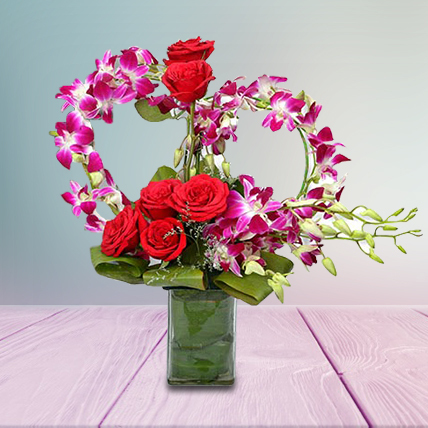 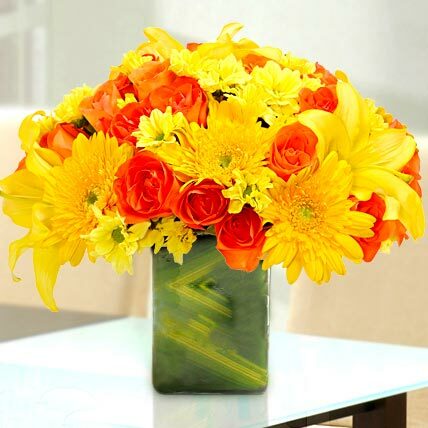 This bouquet is absolutely the best choice to make her feel loved and special. 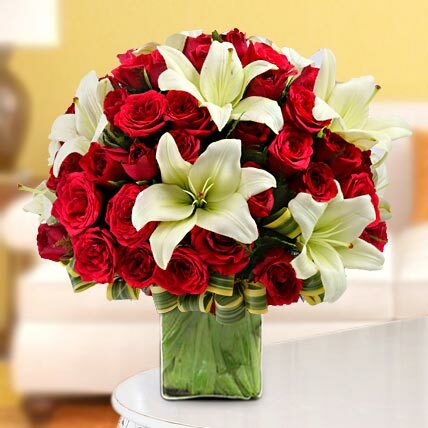 It contains Arrangement of 30 Red Roses and 12 White Asiatic Lilies in a glass vase.